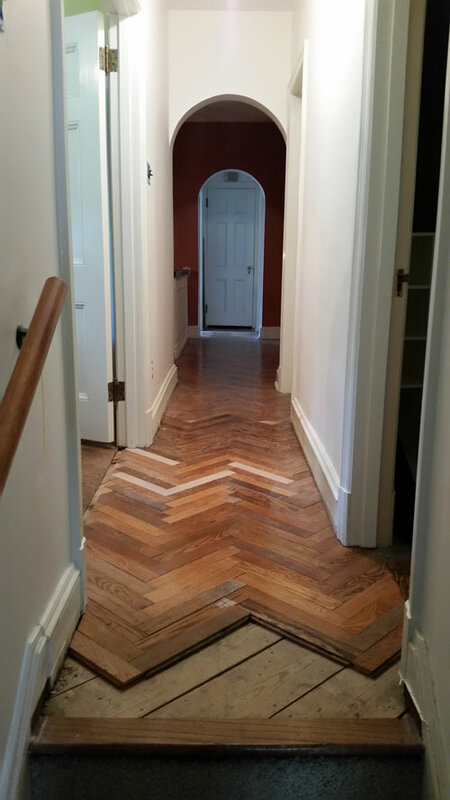 We offer complete restoration of historic wood floors. Our craftsmen are experienced with reclaimed and wide plank wood flooring, and have a passion for finding the perfect solution to any floor problem. We house thousands of board feet of every species and type of antique flooring and can often use our own authentic reclaimed wood flooring. If you are looking for St. Louis hardwood floor repair, hardwood floor restoration or Hardwood Floor refinishing, we offer high quality flooring services. Love your old floors? We can help. Give us a call to schedule a consultation for your hardwood floor repair and restoration!